You might think the only time you need to go to the doctor is when you’re sick, but meeting with your doctor when you’re healthy helps you stay that way. Dr. Borislava Johnson promotes overall health with preventive care and early interventions. 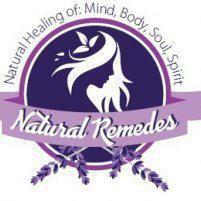 At Natural Remedes, she provides nutritional medicine and guidance to help you establish and maintain balance in your mind, body, and spirit. If you’re looking for a naturopath in Cypress and Northwest Houston, Texas, to help you preserve your health, book an appointment with Dr. Johnson online or over the phone. Do I need to see a doctor if I’m not sick? While you may not think you need to see a doctor if you’re not sick, you can certainly benefit from regular check-ins with Dr. Johnson. Regular appointments, like annual physicals, help her identify risk factors for disease before they lead to more severe problems. She may also detect conditions you might not even be aware you have. At Natural Remedes, Dr. Johnson also provides preventive care. She offers guidance and supplements to support a healthy lifestyle. If you have a genetic predisposition to a disease, she can monitor you for signs and help you take proactive steps toward prevention. Even if you’re healthy right now, Dr. Johnson helps you stay that way and addresses aspects of your health you can improve. For example, if you’re at a healthy weight, but you have a sedentary lifestyle, Dr. Johnson may suggest you incorporate exercise into your daily schedule to promote cardiovascular strength. What can I do to maintain optimal health? What are the benefits of seeing a naturopathic doctor? As a naturopathic physician, Dr. Johnson approaches each person as a unique individual and their conditions from a whole-body perspective. She doesn’t just assess health issues in isolation; she addresses the underlying causes of the disease. When you focus on the overall health of your mind, body, spirit, and emotions, you may find that other areas of your life improve as well. For example, if you have insomnia, Dr. Johnson examines all areas of your life that might be contributing to the issue. She may recommend that you turn off electronics at night and make time for relaxation before bed. In addition to easing your insomnia, this new routine may also improve your relationships and lower your stress levels. As a homeopathic practitioner, Dr. Johnson also takes a more natural approach to medication and healing, so you don’t have to introduce pharmaceuticals to your system. She can help your body prime itself to heal. Schedule a health consultation with Dr. Johnson online or over the phone.